If you are ready to go all in, there’s lot’s of free training out there. From using Votebuilder, to knocking on doors, to phone banking, to using digital media, there’s training available to get you started. 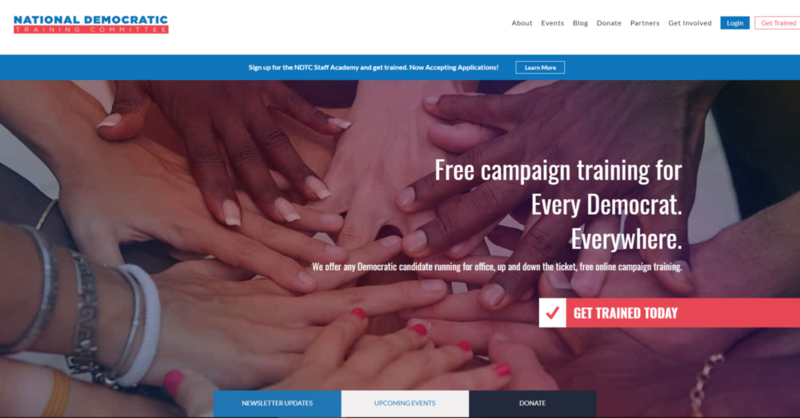 The National Democratic Training Committee has about 20 courses with a lot but not all aimed at potential candidates. You do have to register to see the courses but it’s free. And the good news is they have a course on using Votebuilder which is pretty inclusive. And several courses on fundraising and messaging. The Resistance School has about 25 courses which you can see without registering. You need to register to take a course but it’s also free. Courses include How to Hold a House Meeting, How to Knock on Doors, How to Phonebank and the intriguingly titled How to Defeat Dog Whistle Politics. The Swing Left Academy has 12 training videos and 7 lectures on Canvassing 101, Phone Banking 101, Street Team 101 and one on How to use MiniVan Touch. It’s free and no registration. There’s also a good lecture on Digital Organizing. Organizing for Action has some online training including a series on Relational Organizing and Effective Conversations as well as Campaign Organizing Bootcamps. They also have a lot of guides and tool kits you can download ranging from Writing a Letter to the Editor to Using #Hashtags and @Handles to Visiting an Elected Official's Office.